Fiables has redefined the way IT enablement is executed across Industry verticals. 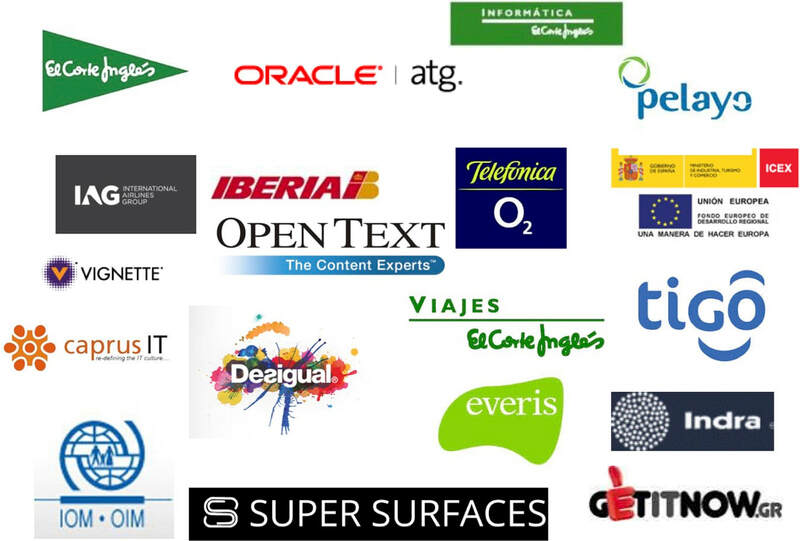 In operation since 2006 with presence in EMEA and India, we provide the best solution leading to customer delight. Our core strength is the expertise on Business feasibility of a project before we undertake the implementation. This approach on going to the drawing board using lean six sigma techniques like SIPOC clearly identifies the "what" and "Why" of the project and gives a birds eye view of the overall scope. FIABLES provides all phases of implementation, integration, on-going maintenance, production support, optimisation and Testing support. The company brings in senior consultants with decades of experience to be part of the project execution. We specialize in setting up the software factories in India for our customers, partners and IT vendors. FIABLES understands the challenges faced in this process and have a well defined process to mitigate the risks. With over 25+ years of experience in onsite/ offshore methodology, we are well equipped to handle all issues effectively. We customise our methodology and processes for customer requirements and strive to go that extra mile to delight our customers by customising everything we do. ​India is the topmost offshoring destination for IT companies across the world. Right partner with Business and IT expertise can lead to cost savings. Fiables helps you pick feasible approach and technology within the budget. ​We avoid "everything can be done"
Most companies, either startups or existing cannot afford the advisory board that a large public limited can, but there is a way oout with us. Imagine someone with 25+ years of experience, running several business internationally and well known in the industry on your advisory board at a fraction of the cost of what others may have to pay. Your advisor isn’t you: he doesn’t have your goals, history, or strengths and weaknesses. He doesn’t know your company like you do. So take the advice and apply it to your specific situation and apply it. Good advisors may guide you with conventional/ unconventional wisdom depending on your current situation, for example the startups are about applying unconventional wisdom. The advisors with us have decades of experience on being at the helm of a company or group of companies, have started and managed. It can help you get that timely advice during growth strategy, funding, resolving issues or just bouncing off ideas with someone who has been there and done that. There has been a showcase of a lot of potential ideas by start-ups & SMEs in the recent past, which are now in their growth phase. They need right handholding to stay in the game and reach excellence. We create the team of experts based on client requirements giving them a custom solution and complimenting the same with our proven process models and templates. Constant innovation with laser focus execution helps in surpassing these hurdles and enables them to move to the next phase of growth. This requires a lot of thinking and strategizing at different levels and in all the departments of the Organisation. While you stay focused on your business operations, we ensure you stay on top as your growth partners. Our endeavors is to support, guide, mentor and coach you and your Organisation and help you to move from good to great. We help you sail in the right direction to reach your true potential. Vision: Our endeavors is to add tremendous value in the growth journey of an Organization to help them reach to their true potential. We believe that every business is a great business. Be a pioneer in the ‘thinking’ and ‘enabling’ departments that could enhance our clients’ growth. 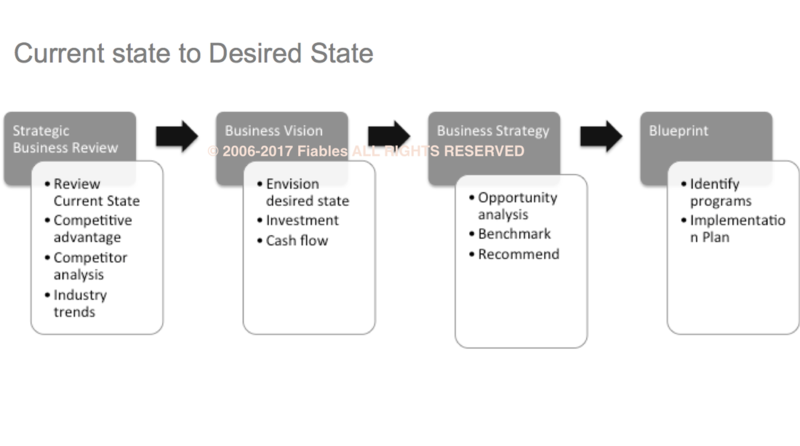 ​Business Plan is your compass/ guide to take you from your current phase to your Goal. It has to be working document which will have several variables to start with and will keep changing as and when you get more clarity. Consboard helps in preparing the business plan and guiding you during the course of your venture until you are self-sufficient. Offshore Development Center consists of a dedicated pool of software professionals who form a virtual extension of the client’s team. It offers the best of both worlds – the benefits of one’s own team without the difficulties of managing it. In addition, offshore development centers enables clients to scale up their teams, in terms of numbers or skill sets. Extended Lab Advantage: Having an offshore development center, gives the customer the advantage to access state-of-the-art development facilities with skilled resources. Extended Enterprise Advantage: On-site teams works directly with the client’s team, delivering value and managing partnership. Offshore teams create value by applying tools, methods, processes and technologies. Seamlessly integrate the on-site and offshore teams through - Processes, Procedure and Communication. Faster Development Advantage: Use of timezone difference as an advantage to hasten development time. A 24 Hour cycle can be kept going to speed up development time. Total Cost Of Ownership (TCO) Perspective: Significant cost saving on infrastructure and manpower costs at offshore vis-a-vis the clients' home country. Also there will be cost and time saving on the long gestation period that will be needed for setting up offshore subsidiary. Retain Domain And Skill Knowledge: A dedicated team working on the customer's software/technology will retain domain knowledge. There is also total freedom to propagate client's own corporate procedures, systems and management techniques at the ODC. Protection of intellectual property based on international IP laws. Resource Advantage: Ramp up/downsize resource at relative short notice. Resource sharing between projects-leading to optimal resource utilization. Induction and training for identified resources. English is used in India as the language of business and academia because it provides a common standard in a country with dozens of regional languages and thousands of sub-dialects. India has more than 250 universities and 900 colleges creating almost 2.5 million English-speaking graduates and postgraduates each year. 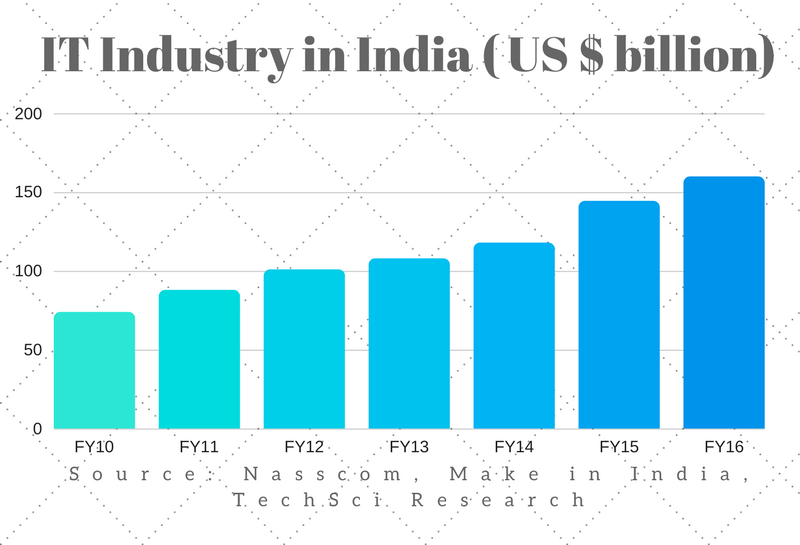 It is obvious why India has attracted attention with a talented resource pool growing at this rate. Its very important to manage an existing or a new project to ensure compliance at all levels and project completion within budget and specified timelines. The Project Manager deputed is the overall in-charge of the project from FIABLES side and will serve as one point contact for the execution. He/ She will be based at one of the FIABLES development centres offshore to manage Agile methodology, Communication process, current systems and interfaces, In-process Reviews, Process Audits, Risk Management, Issue Escalation process among other factors. The Indian team will be working in a very different time zone. India is Greenwich Mean Time + 5.5, meaning it is 10.5 hours ahead of Eastern Standard Time. If you start work at 9:00 a.m. on the East Coast, then it will already be 7:30 p.m. for your Indian team, thus making it difficult to schedule joint conference calls and meetings. Some teams, however, learn to exploit the time difference. Where you are sharing technical tasks between a U.S. team and an Indian team, you can hand off tasks to be performed in India during the U.S. night and passed back ready for you in the morning. Even where tasks are not shared, it can be an efficient use of time to stack up your requests for the Indian team and find them all completed by the next morning. - Identifying the right area to begin with: There is no simple way of describing the right blend of project size, offshore country, complexity of operations, outsource or captive—the answer is a function of the inputs from each company and depends on its particular appetite for risk and potential savings. This analysis is the hidden cost of outsourcing because its cost is often missing from the business plan. - Setup PMO for effective SLA monitoring: There is a tendency to set up a bulletproof SLA where you nail the vendor to the floor with penalties for missed delivery. You need to be aware of some issues while deciding the Metrics and KPIs (key performance indicators) once a project moves offshore to India. When you are seated in your country and the development work is taking place in India, creating some form of tracking structure on a project is essential. You can no longer walk down the hall to kick the tires and see how the team is doing. The best way to consider the SLA is as a car dashboard (this metaphor was coined by Rob Aalders, author of the excellent and very practical book, The IT Outsourcing Guide, Wiley, 2001). Use just a select few key indicators—that’s what the acronym stands for, after all. When you drive your SUV to your kid’s soccer game, you don’t monitor the performance of individual spark plugs and the fuel/air mixture; you just look at basic key indicators such as engine temperature and the amount of gas left in the tank. If you have complex metrics that require constant monitoring, then it will require a full-time team to watch over the relationship, and even then they may not be able to detect certain problems until disaster strikes. The goal of a penalty scheme should never be to obtain the penalties, but rather to ensure that minimum expectations are met. In this spirit, some organization elect to allow the supplier to “drawback” penalties if subsequent performance is better than expected. Accepting a service credit is the action of penalizing the vendor, so it will provide additional service at no charge. Service debits are effectively a bonus for the supplier, whether by allowing it to clawback credits or by paying an additional cash bonus over and above the normal fees. Service levels are based upon the business requirement—the call center must answer the telephone within three rings, the PC must be fixed in four hours, the number of checks processed must be more than 10,000 per hour. Over-performance has no business benefit for the client. Otherwise, it would have set the threshold higher in the first place. Indian English sometimes uses unusual terminology that can be confusing for an English speaker from another country. Indian English is a fascinating blend of perfect English peppered with the occasional Hindi phrase or archaic expression long forgotten in the U.S. You may be baffled as dacoits rob wallahs of lakhs and crores in this strange pidgin “Hinglish.” Engineers tell their perplexed manager they are working late because of the software “upgradation” or system “updation” and may shake their heads to indicate interest in a manner that is similar to the Western shake of disagreement—if you can see them, that is. CULTURAL DIFFERENCES: An appreciation of different cultural values is essential, because you want your offshore team to feel included in the service you are delivering; yet they may not respond to the same drivers as your team. If you employ a supplier in an offshore location, then at least make sure you are actively engaged in hiring for the team. The supplier may find the right technical skills without considering who can work best with your team, because only you know whom you can work best with. Transferring tasks and code from country to country means that you need to strictly define your source code, environment setup and document control system. Using tools to check in and out the different versions of work in progress becomes more essential when the teams cannot physically see each other or view who is working on what. Local legal and labor compliance: Making sure that the employment contracts comply with the local labor laws to setting up the right legal entity in India. The Indian laws are complex and are subject interpretation by various government departments, making sure that your captive is fully complaint is taken care by Fiables. 10+ years old company with experience in executing eCommerce projects: Fiables has been working on eCommerce projects since 2007 for several European, South American and domestic customers. To match resource and skill levels to fluctuating demand. A Relationship Manager dedicated to CLIENT will ensure that FIABLES responds quickly and positively to any new requirements and that all engagements are carried out with the benefit of FIABLES’ high quality standards and strict Ethical code. Robust Quality Processes: Since the beginning our development centre is certified ISO 9001:2008. In addition the development centre is operating at the level 3 of SEI CMMi (Capability Maturity Model). The delivery centre has implemented the continuous process optimization model to provide the metrication and transparency of operation required by major clients. CLIENT will benefit from these high standards of quality through improved service delivery and user satisfaction. FIABLES’ Experience and Quality commitment is reflected in the results of independent customer satisfaction surveys comparing the performance of offshore providers. Process-oriented FIABLES takes pride in being process oriented instead of people dependent which helps to deliver consistent quality to our customers. FIABLES uses its own tool for project management. Reducing Total Cost of Operations (TCO) FIABLES is willing to commit to increases in productivity, not only at time of taking on the project but as a continuous year-on-year commitment. FIABLES Industry practices strive to achieve this by effectively utilizing their proven processes and software tools. Long term commitment Every resource provided by FIABLES will be committed for the entire duration of the project with CLIENT. Shadow resources at no extra cost FIABLES will ensure that there are 5-10% of resources working as shadow resources for the key team members deployed at CLIENT acting as a backup in case of emergencies. CoE support at no extra cost: FIABLES will ensure that there are subject matter experts supporting the team deployed for CLIENT and also acting as a backup in case of emergencies. Senior management commitment Our senior management has 25+ years of industry experience in handling large accounts and will be fully committed to monitor and to periodically review the engagement model. FIABLES understands the challenges faced in this model and has well defined process to mitigate the risks. Periodic reviews at multiple levels ensure that the issues are resolved and escalated in time. ​FIABLES Quality Testing Team is skilled in areas of Manual as well as Automation Testing using industry-standard tools. This section details the Fiables approach to QA, this is an additional service that can be provided at offshore if requested by CLIENT, sample reports and automation tools which will be used. The extent of automation will be based on the stability of the product to be tested. For CLIENT, we will have a versatile and experienced software testing team to perform all types of test processes as detailed below. Fiables provides a detailed report on the findings of the various testing being carried out as described in the subsequent sections. The format of this report will be mutually agreed during the knowledge transfer period. Other functional documents produced during the course of the project i.e. resolution to issues/change requests/feedback. * Selenium IDE: a Firefox add-on to record and playback tests in Firefox. · to ensure that there is an increase in the functionality and stability of the software. The regression testing will be automated using the automated testing tool, in most cases. The duration or effort for performing regression tests vary from one product to another. But overall, on an average it takes around 4 – 7 business days to perform a full cycle of regression test of a mid-sized Product. Performance TestingThese tests ensure that the system provides acceptable response times. The goal of performance testing is not to find bugs, but to eliminate bottlenecks and establish a baseline for future regression testing. A cross browser testing is done on different browsers to ensure that the functionality, GUI of the application is same on different browsers and mobile devices. We understand the complexity of the ERP landscape having handled senior position as ERP head in Big 5 Organization. We closely work with the client to identify the areas to be outsourced in a phase wise manner. Starting with the low hanging fruits we slowly work towards outsourcing the business analysts work as well.